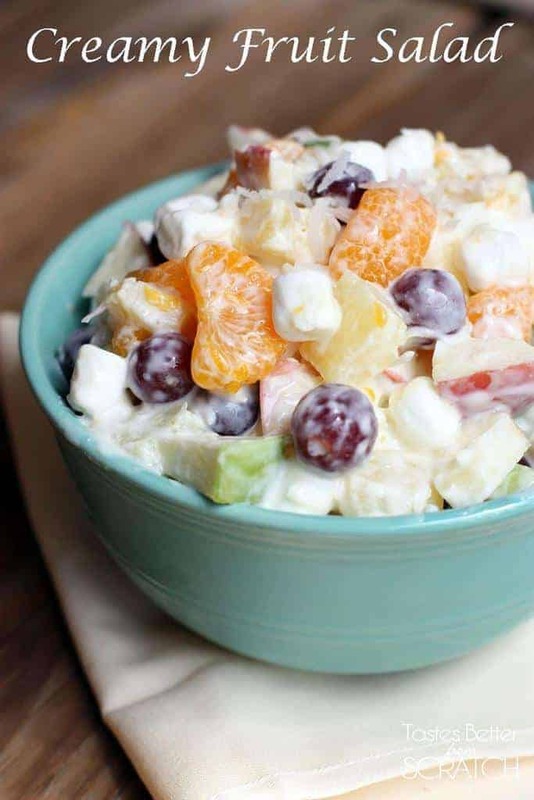 This creamy fruit salad recipe, using Greek yogurt, is sweet and creamy without the added calories! 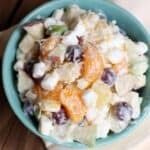 The ingredients for this Creamy Fruit Salad are super simple, but put them all together and this little salad is fabulous! 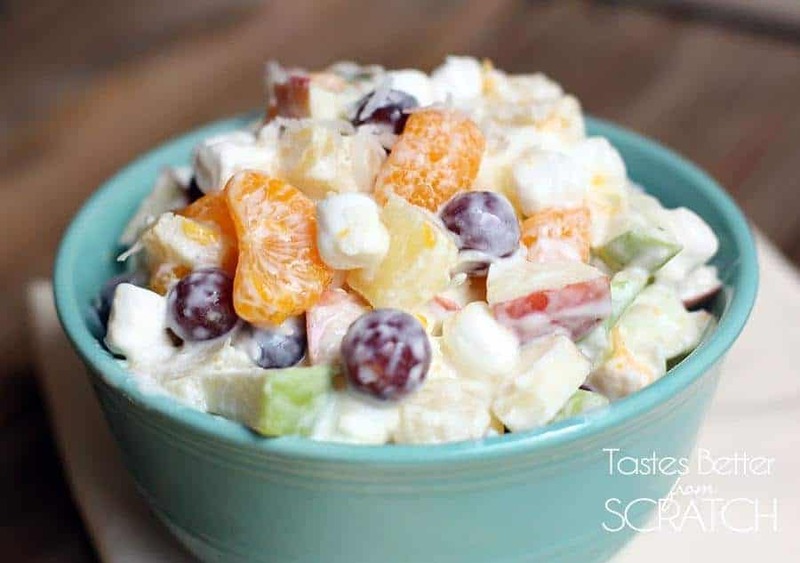 It’s sweet and refreshing, without the added calories. Plus it has mini marshmallows in it, and who can say “no” to mini marshmallows?! 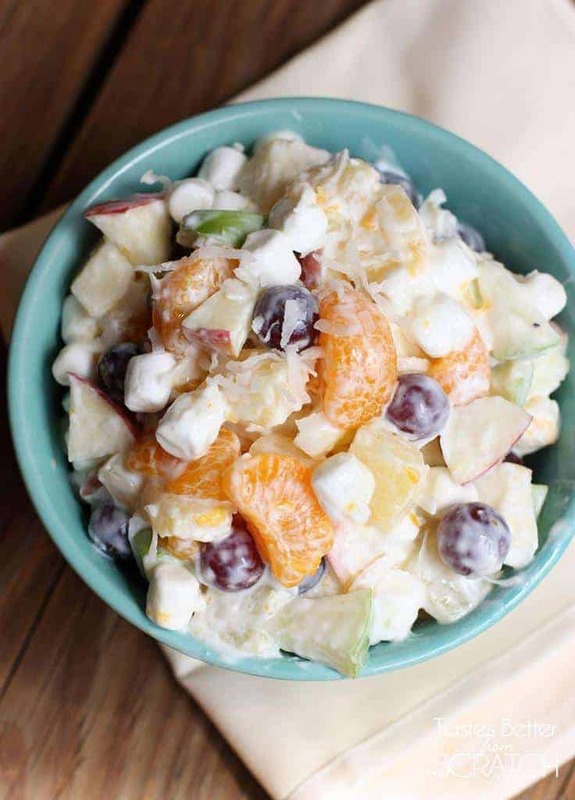 This yummy side dish will definitely be making in appearance on our Thanksgiving table! After a day or so of sitting in the fridge, liquid from the fruit may pool at the bottom. If eating the leftovers, I like to gently pour some of this off before eating. idea if that is correct. What do you do? Hi Kathleen. Yes, be sure to drain any of the canned fruit! IN THE SOUTH THEY ADD ONE TEASPOON BROWN SUGAR TO THE SOUR CREAM…….AWESOME!!!!! 2 cups of mini marshmallows . The colored ones. Fold all together until mix well. Refrigerate at least 8- hours.